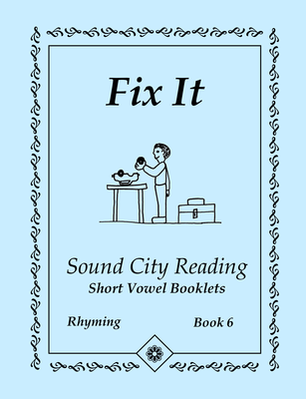 This section provides an overview of the Sound City Reading books that are used to teach short vowel words. To download the PDF files for these books, look under the menu heading PDF FILES, go to the sub-menu PDF FILES - BOOKS LISTED BY LEVEL, then click on PDF FILES FOR LEVEL 3 - SHORT VOWELS Or, for a shortcut to that page, click here. Scroll down to see an overview of all the books. Scroll farther to see more details and information about each book. Why Are Short Vowel Words Important? This is a crucial level. Students begin reading and spelling real words. How short vowel words are taught lays the groundwork for teaching more advanced words at the higher levels which follow. When students begin reading and spelling words there are two important concepts they must master. First, they must learn to listen to a spoken word, analyze the sounds they hear, and pronounce one sound at a time, going in order, while writing the letter symbols that represent those sounds. We say that students "segment" the word, breaking it down into its individual sounds, as they write it. Notice that the goal is for students to say the sounds when spelling, not the letter names. Second, they must learn to read words by looking at them, saying the sound for each letter, going from left to right, sliding the sounds together smoothly so that they recognize the words. This is called "decoding" the word. The second process is easier for students if they have already analyzed the sounds in the words by segmenting and spelling them first. 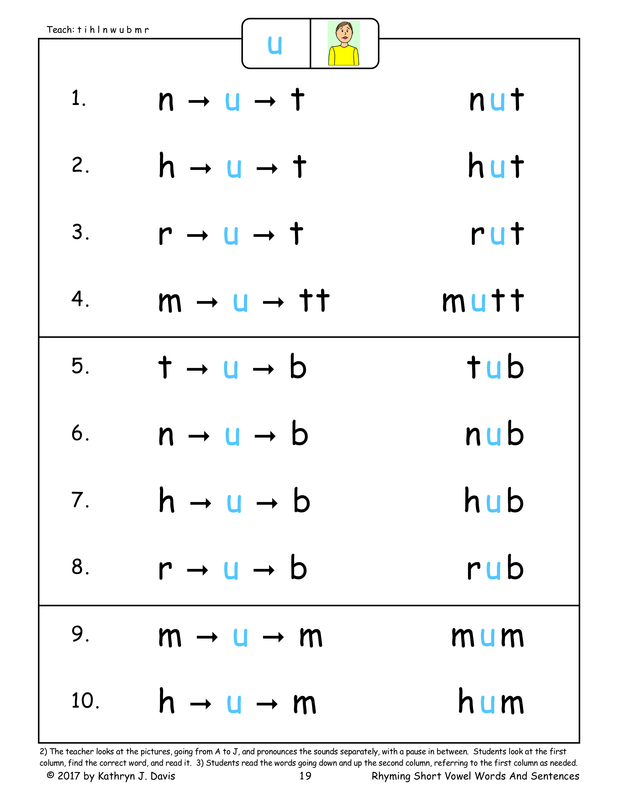 Short vowel words are taught first because they have more regular sounds than other words. They are mostly just three-letter words, which is helpful for students who are just learning to decode words. ​In fact, it can be a real challenge for students to put three letter sounds together smoothly to pronounce words, so two-letter sound blending activities are included in the short vowel books. 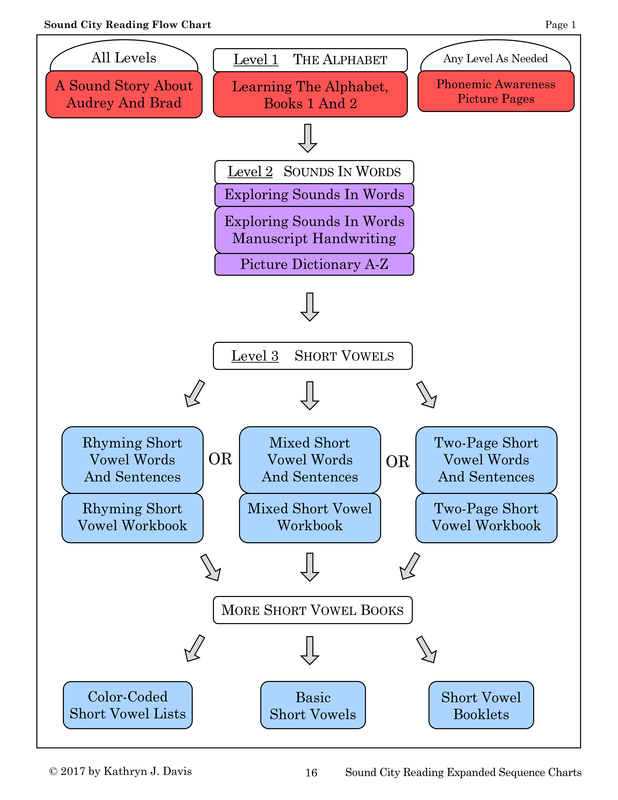 This chart shows the books used at the short vowel level in blue. Before reading three-letter words, they learn to pronounce two-sound chunks (not real words) such as ab, ac, ad, af, and ag. Students pronounce just two sounds at a time, sliding the sounds together smoothly. This provides an intermediate step between pronouncing individual sounds when learning the alphabet and pronouncing three-sound short vowel words. In my experience, this activity has opened the door to decoding short vowel words (and words in general) for many students. 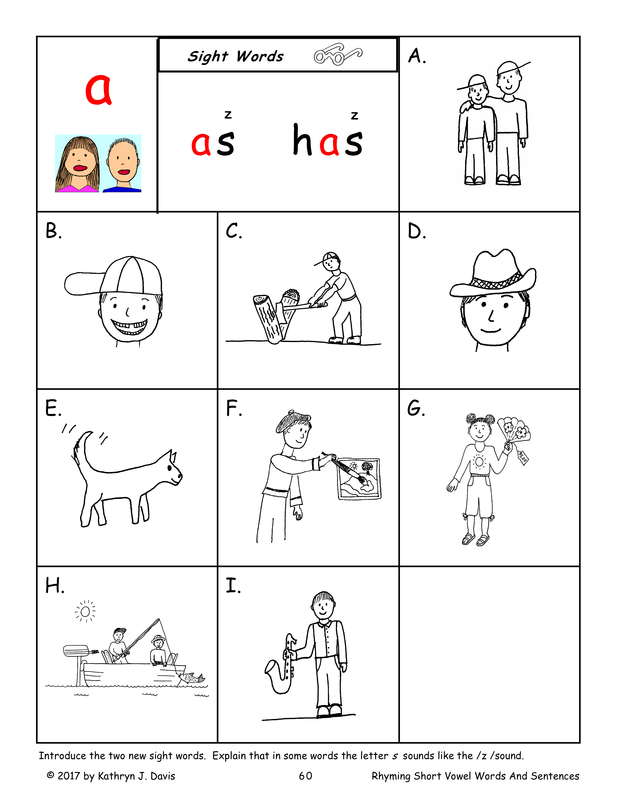 A few irregular sight words are taught (a, A, was, as, has, is, his, I) so that students can begin reading simple short vowel sentences. Which Books Are Used To Teach Short Vowel Words? Choose one of these three books to get started with short vowel words. These books have color-coded vowels. The lessons reinforce phonemic awareness and decoding skills. These books will work with beginning readers and also with older students who need extra practice or review reading and spelling short vowel words. 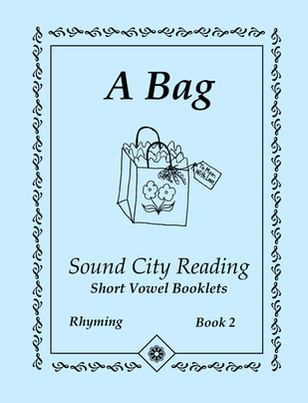 A separate workbook is available for each of these three short vowel books. This book works well in kindergarten. It includes a few introductory short u word lists that can be taught while working through Exploring Sounds In Words. Students then study short a words, short o words, short i words, short u words, and short e words. This book should work well at the beginning of first grade. It provides a faster approach by introducing the wordlists in a sequence that matches the beginning of the year handwriting review. 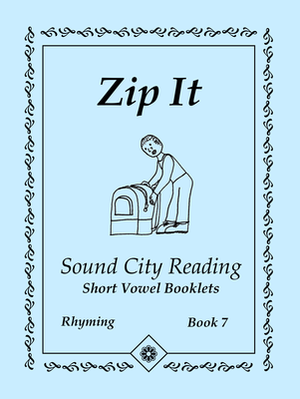 This is the original short vowel book. 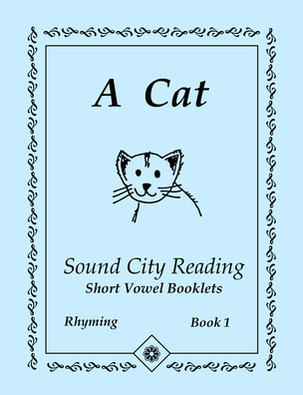 It is a shorter version with only two pages of words for each short vowel. Sentences are included. 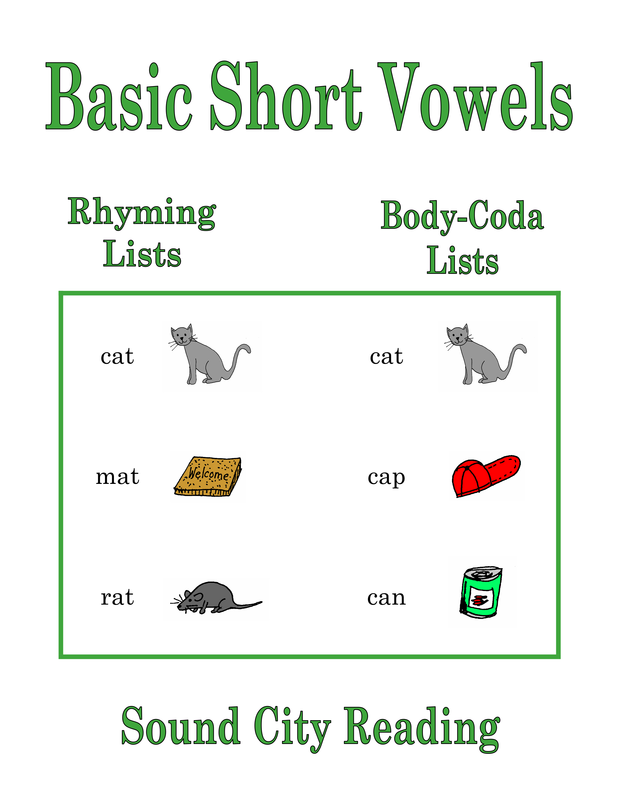 These short vowel books can be used alone or as extra practice with students using one of the books listed above. 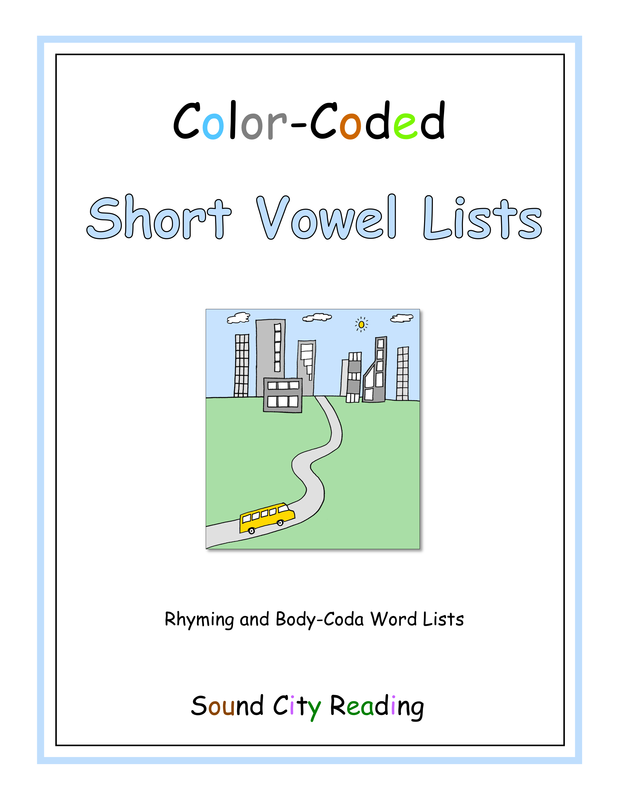 Students read color-coded short vowel words in both rhyming lists and lists that begin with the same sounds. Reading both types of lists helps students develop fluency in pronouncing words smoothly. Use this book with students using one of the books listed above to solidify their decoding skills. This book has all black print. All of the words and sentences are illustrated. This book works well with students who already know how to decode words. It can also be used for extra practice by students who are working in one of the books listed above. 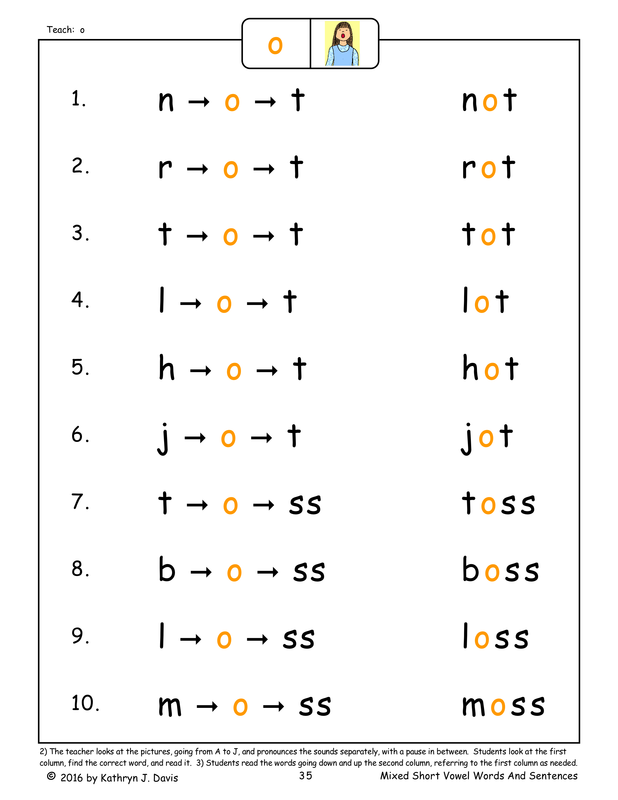 This is a set of ten small short vowel booklets. The books are folded and stapled. Each booklet is the size of a quarter page. 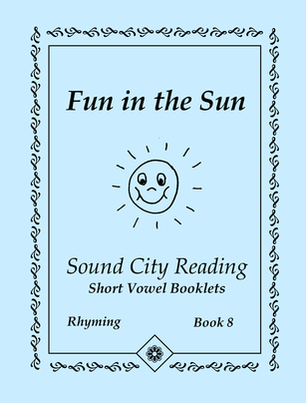 The print format is similar to the Basic Short Vowels book. Each booklet focuses on a single short vowel. These are the very first phonics books that I created. This program has a variety of materials to teach short vowel words because learning to read short vowel words is a large leap compared to learning the letters and their sounds..
Three of these have the same format, but are slightly different to meet different needs. You can choose Rhyming Short Vowel Words And Sentences, Mixed Short Vowel Words And Sentences, or Two-Page Short Vowel Words And Sentences to introduce short vowel words. 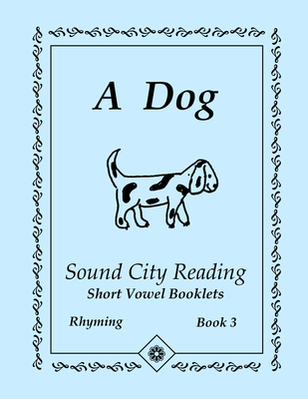 Each book uses specially designed lessons to teach students how to decode (read) and spell short vowel words. The words are color-coded with each vowel sound printed in a specific color. Students study ten words at a time. The same words are repeated in two different columns. In the first column the letters are separated by arrows to make decoding easier for beginning readers. In the second column, the words are printed with normal spacing. The pages are set up so that the words are on the right hand page and the matching pictures are on the left hand page. 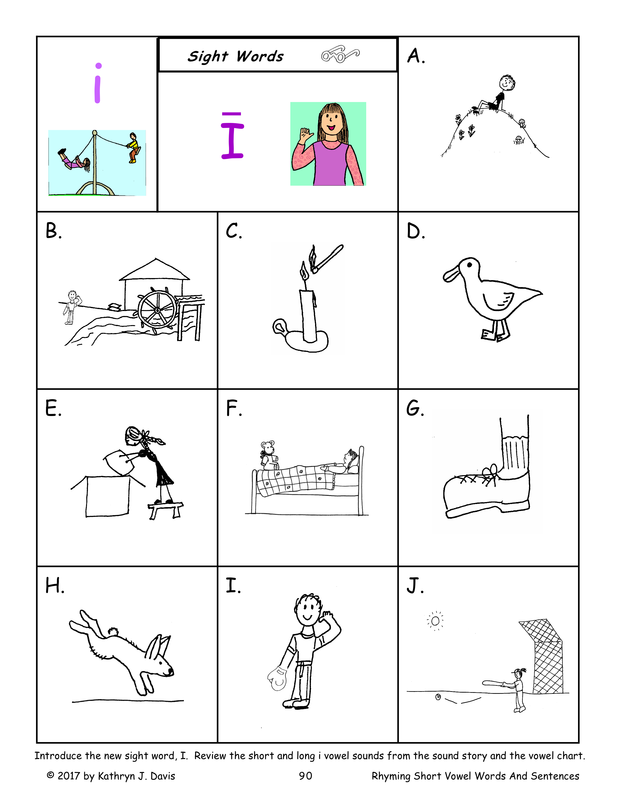 The pictures and words are in a different order so that students must find the picture to match each word. 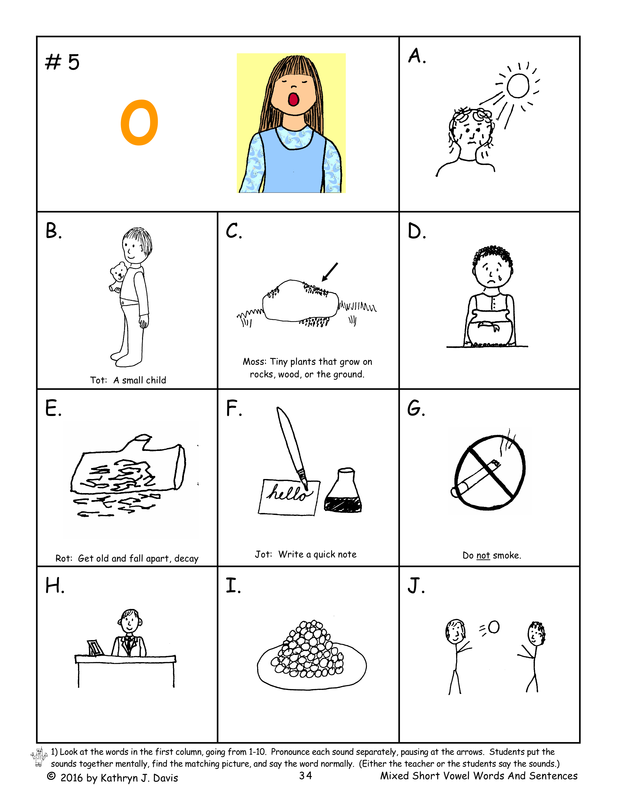 A series of activities designed to foster print and sound awareness are used to introduce new sets of words. 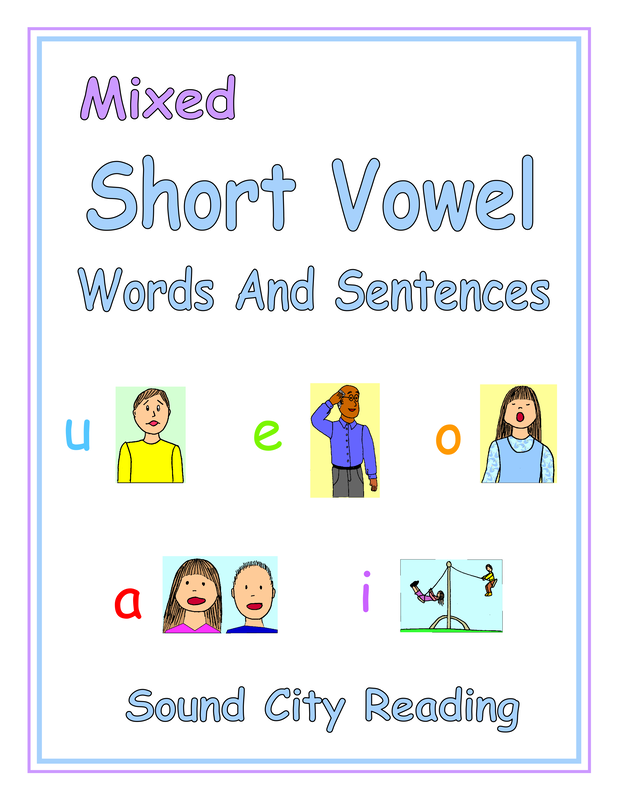 Two other books, Basic Short Vowels and Color-Coded Short Vowel Lists, can be used after or alongside any of the introductory books to reinforce decoding fluency with short vowel words. They may also be used as stand-alone instructional books. 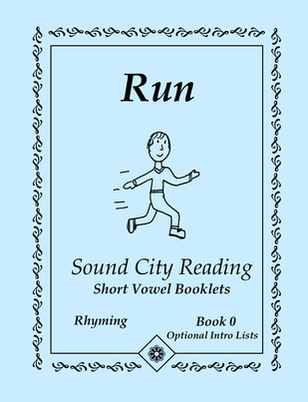 The Short Vowel Booklets are small, 5 1/2 by 4 1/4 inches. They have large, all black print. Students read short rhyming lists on the front of a page, followed by the same words paired with pictures on the back of the page. Students also learn a few sight words and begin to read simple short vowel sentences. 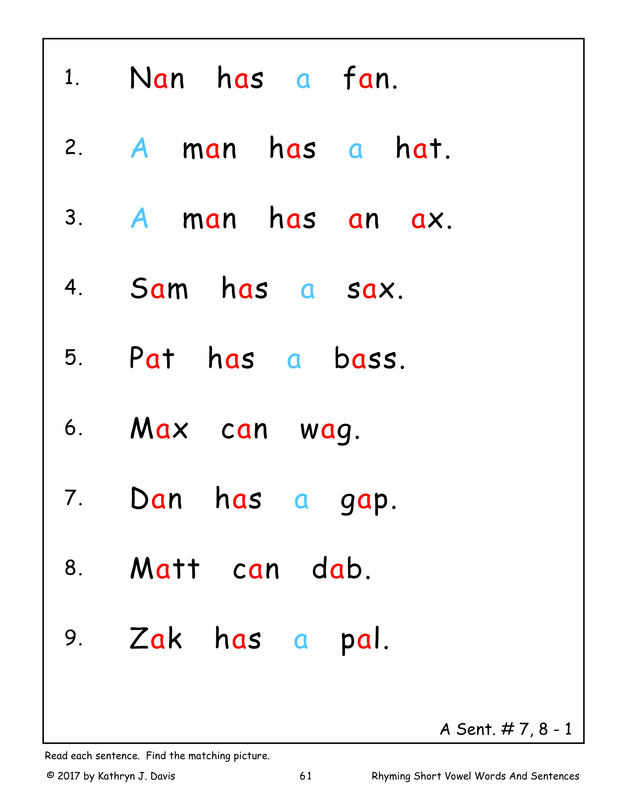 It is important for students to master segmenting and decoding skills at this level before going on to the next level, which teaches the phonogram sounds like sh, ai, ow, and ar. 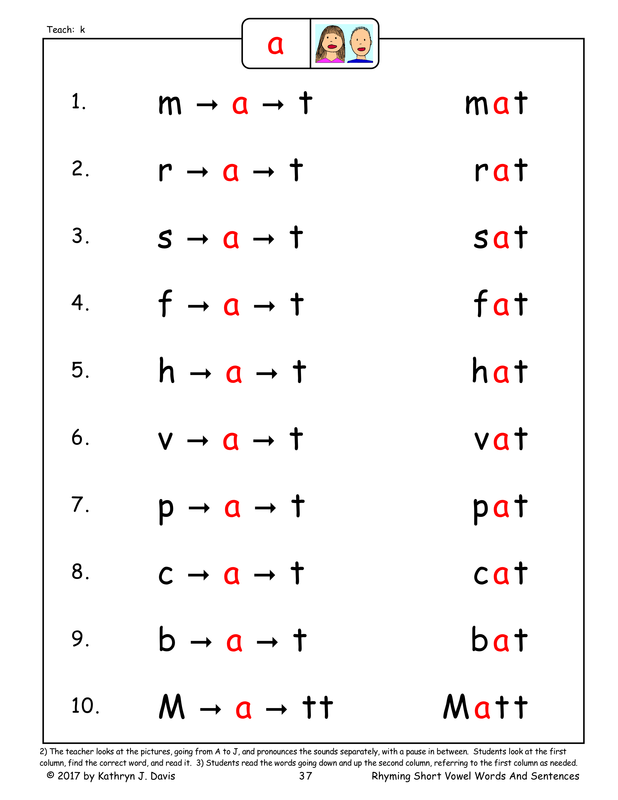 Once students can read and write short vowel words comfortably, it will be much easier to add new phonogram patterns, since the segmenting and decoding process remains the same. To read new words, students only need to substitute the new sound symbols that they are learning, usually in the form of consonant digraphs (sh, th, ch), consonant blends (st, fl, gr), and vowel teams (au, oi, ea). ​Mastering short vowel words also prepares students to begin reading multi-syllable words such as pup-pet and fan-tas-tic. 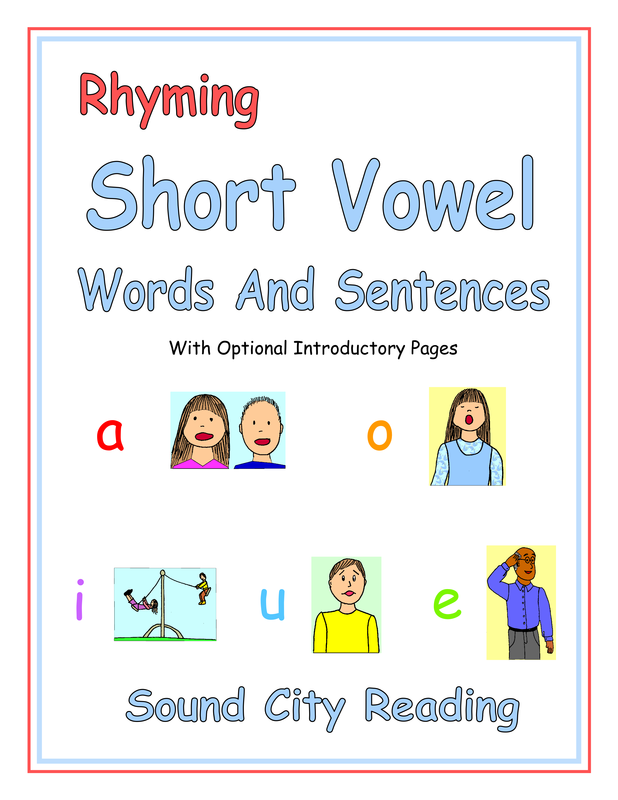 Read more details about the various short vowel books below, and see sample pages. This is the easiest short vowel book for beginning readers. There are two different options when using this book. OPTION 1: This option will work well with students who have learned to write all the letters of the alphabet. This is because the word lists contain all the alphabet letters starting at the beginning of the short a words. Being able to use all the letters from the beginning allows the grouping of words into rhyming lists without leaving any words out. For example, the words cap, gap, lap, map, nap, sap, tap, yap, and zap can all be studied in the same lesson. Students in kindergarten who have completed the Exploring Sounds In Words level can use this option. 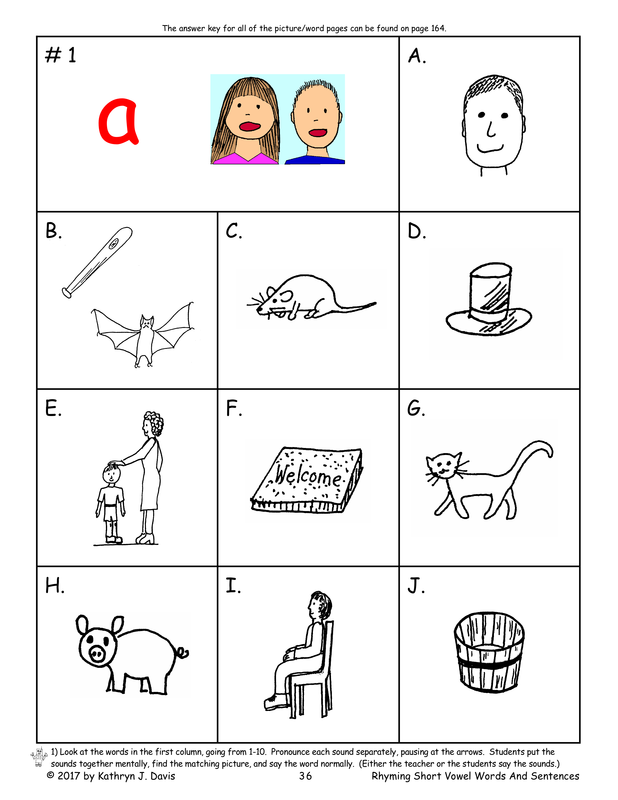 OPTION 2: This option can be used with students who have not yet learned to write all the letters of the alphabet. There are five optional, introductory short u word lists at the beginning of the book. These lists are arranged so that students can begin studying short u words while they are learning to write the letters of the alphabet. The words in each list use only the letters that students have already learned to write. 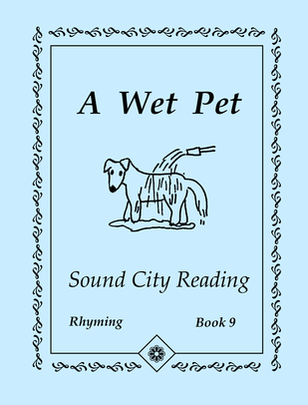 This introductory section can be taught while students are completing the Exploring Sounds In Words level. The pages are set up with the words on the right side and pictures on the left side. This allows the teacher to do an activity called the "Robot Game" with each set of pictures and words. The in depth word analysis provided by this game helps students to develop oral blending, segmenting, and decoding skills. Each short vowel is printed in a specific color so that the vowels will stand out in words and give an indication of the correct vowel sound. Students learn a few sight words (A, a, was, is, his, as, has, I) as they work through the lessons. 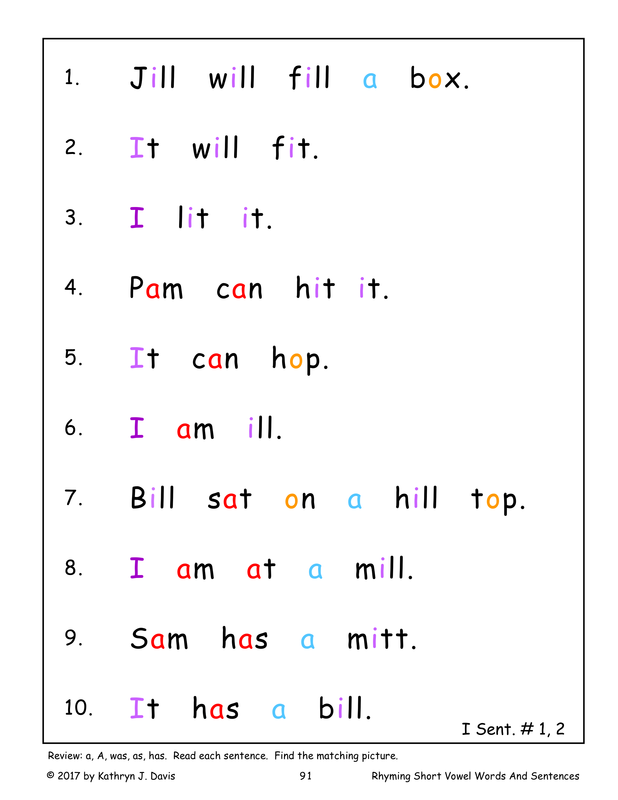 This enables them to begin reading and writing simple short vowel sentences. Spelling the words is an important part of the learning process. Sometimes its hard for students to catch on to reading short vowel words. It often helps if they practice spelling new words before they attempt to read them. Students practice spelling the words with plastic letters, and begin to spell them on paper as well. Students should spell by listening to the word pronounced by the teacher, then saying each sound, one at a time, as they form the word. 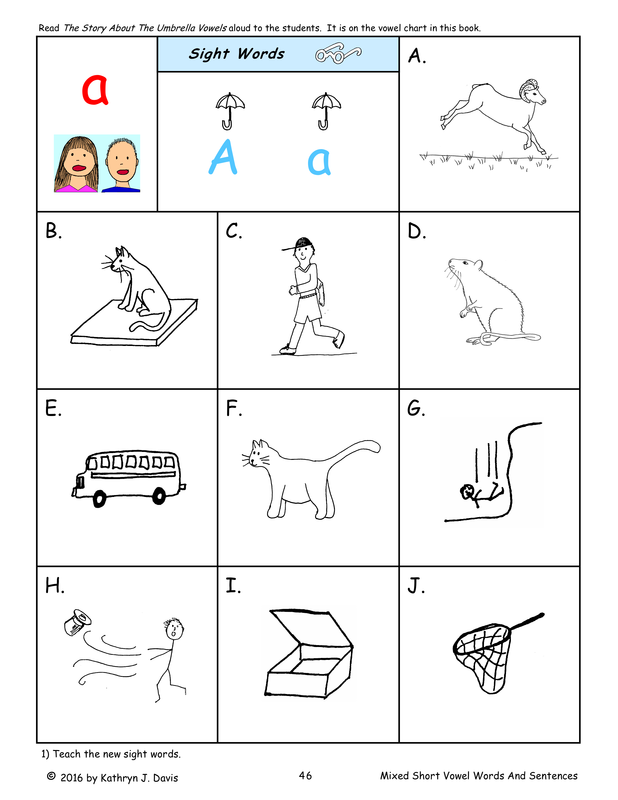 1) Students hear the individual letter sounds from the first column and find the matching pictures. 2) Students look at the pictures, and find the matching words in the first column. 3) Students read the words in the second column. 1) Students learn the sight words featured on the picture page. 2) Students read each sentence and find the matching picture. 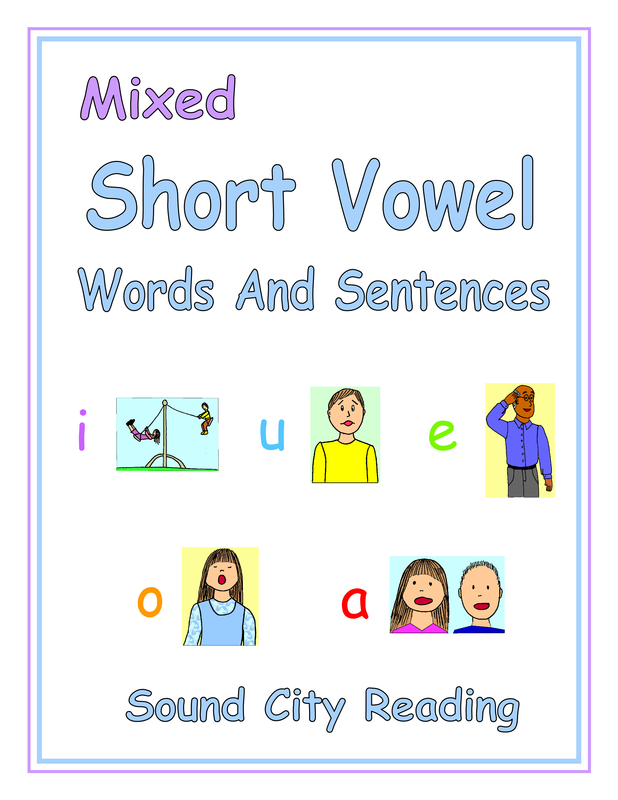 Mixed Short Vowel Words And Sentences - This book is designed so that students can begin reading and writing words quickly, while they are learning or reviewing letter formation at the beginning of the year. The lessons are set up so that students can learn/review how to write the letters of the alphabet while they are working through the book. It would work well with students in first grade at the beginning of the school year. Students in first grade need thorough instruction in handwriting and in short vowel words, even if they studied these in kindergarten. However, they cannot afford to wait until all the alphabet letters are introduced in handwriting to start reading and spelling short vowel words. To solve this problem, the word lists are selected so that only the handwriting letters that have been taught/reviewed are needed. The goal is to start reading and writing from the beginning of the school year while still taking time to develop good handwriting habits from the beginning. Each new word list is added as soon as students have learned/reviewed enough letters to write those words. This means all the same short vowels are not taught at the same time. Students may work on a short i list, followed by a short u list, followed by a short e list. The effect of this organization is that students can practice short vowels thoroughly but in a timely manner at the beginning of the school year, and then move on as soon as possible to words with phonics patterns. ​​By the time all of the letters have been introduced during handwriting instruction, teaching one new letter per day, students will have completed most of this book. This book has the same format as the Rhyming Short Vowel Words And Sentences book, with large color-coded print. Words and pictures are on facing pages. However, the word lists are introduced in a different order. In this book students listen to both Part 1 and Part 2 of the sound story. Part 1 introduces the consonant sounds, the short vowel sounds, and the long i sound. Part 2 introduces the "Beyond The Alphabet" sounds, including consonant digraph sounds (sh, th, ch, ng) and the remaining vowel sounds. Students are introduced to the Part 2 sounds to prepare them for the next level, when they will begin studying the various phonics patterns. 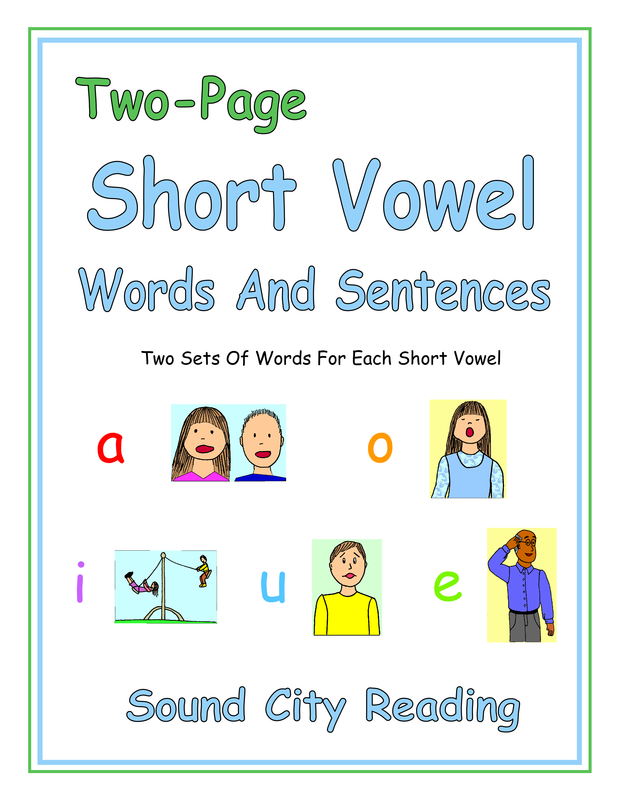 Two-Page Short Vowel Words And Sentences - This book has only two sets of words for each short vowel. The first set of words begins with continuous consonants, that is, consonant like sssss and mmmm that can be held when they are pronounced. This makes it easier to connect the initial consonant sound to the vowel sound when pronouncing the words. The second set of words begins with stopped consonants, that is, consonant that cannot be held, like c and t. It is harder to read words with stopped consonants because it is harder to connect the initial consonant with the following vowel. The words are not set up in rhyming lists. This book can be used for a quick review of short vowel words, while providing a strong foundation for students who are still developing decoding and spelling skills. It would work well at the beginning of second grade. Students read short vowel rhyming lists followed by body-coda lists, in which words begin with the same letters. ​The vowels are color-coded, with a different color assigned to each short vowel sound. The words are not illustrated. Plenty of practice is provided with the chance to read many words. This book does not contain sentences. 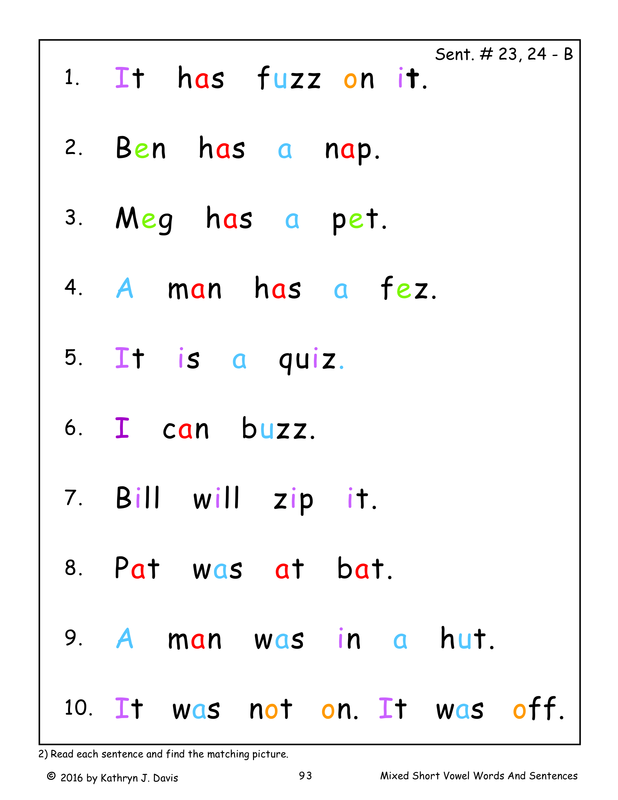 The ten Short Vowel Booklets can be used for extra practice reading short vowel words. Students love these small 5 1/2 by 4 1/4 inch booklets. The print is large and the pages are small, so students only have to focus on a few words at a time. 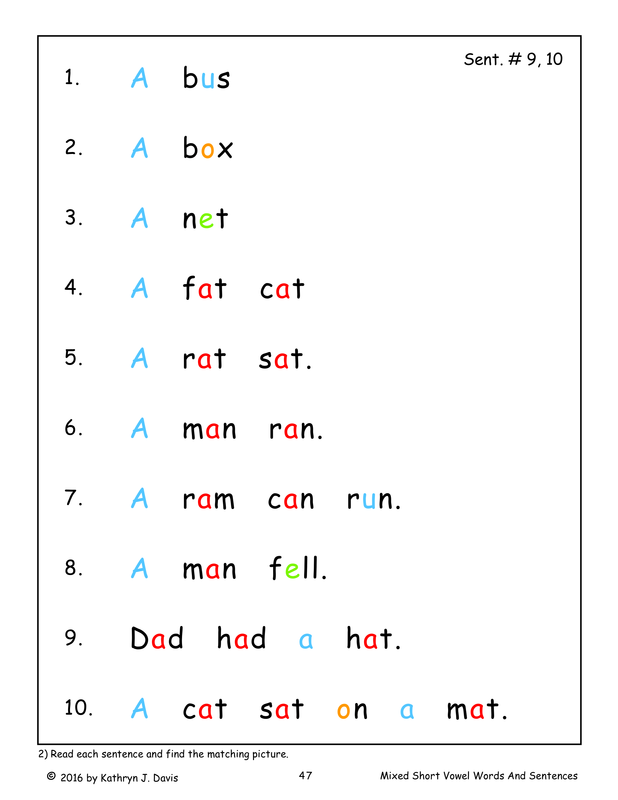 The words are presented in rhyming lists, making it easy for students to read the words. Each booklet focuses on words for a specific short vowel. Students read each group of words, then turn the page to see and read the same words with pictures. Students also read easy, illustrated sentences. 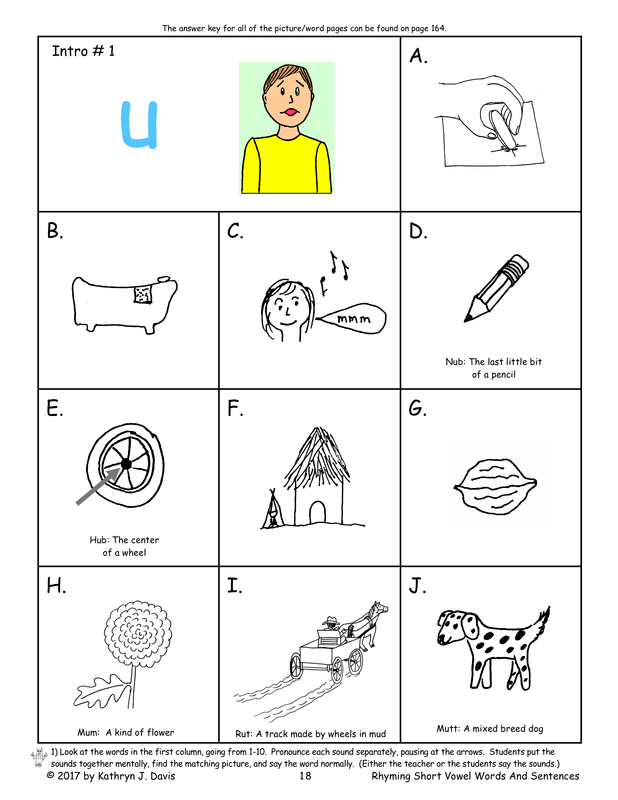 An introductory book teaches short u words while students are learning the alphabet. 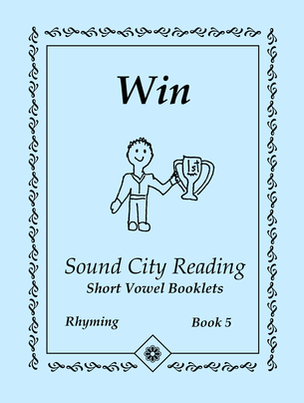 The remaining booklets teach short vowels in this order: two short a books, two short o books, three short i books, one short u book, and one short e book. The PDF files for the Short Vowel Booklets are arranged so that when printing on letter sized paper, two identical sets of books are printed on the same group of pages. After printing, the stack of pages are cut horizontally to make two separate sets of booklets from each file.